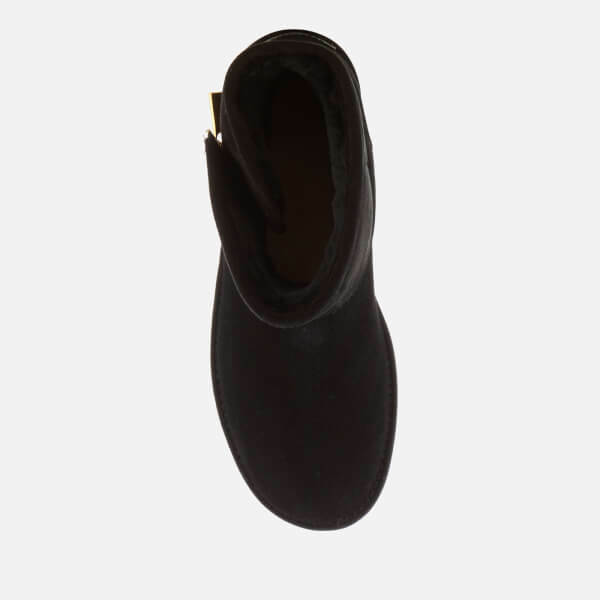 Women's suede mini boots from UGG. Crafted with smooth suede uppers, the ‘Kip’ mini boots are pre-treated to repel water and stains. The boots are detailed with a wraparound design, an asymmetrical gold-tone zip to the outer side and a Mouton sheepskin lining for warmth and comfort. 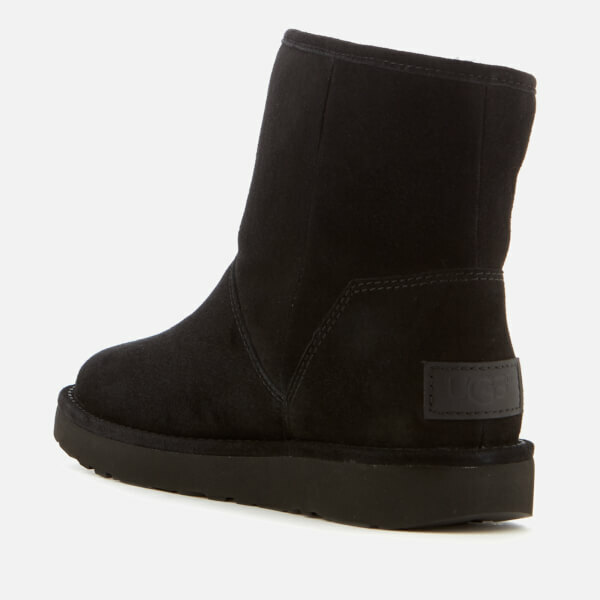 Set on a slim Treadlite by UGG™ outsole, the boots feature a stacked block heel. 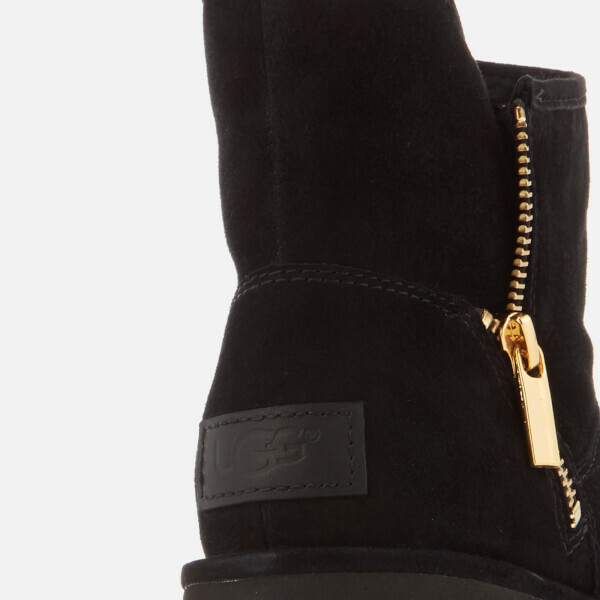 Complete with a signature UGG brand patch on the heel. Upper: Suede. Lining: Mouton Sheepskin. Sole: Treadlite by UGG™.